Here are the objectives for your Geology unit study. 1. Compare rocks and minerals. 2. 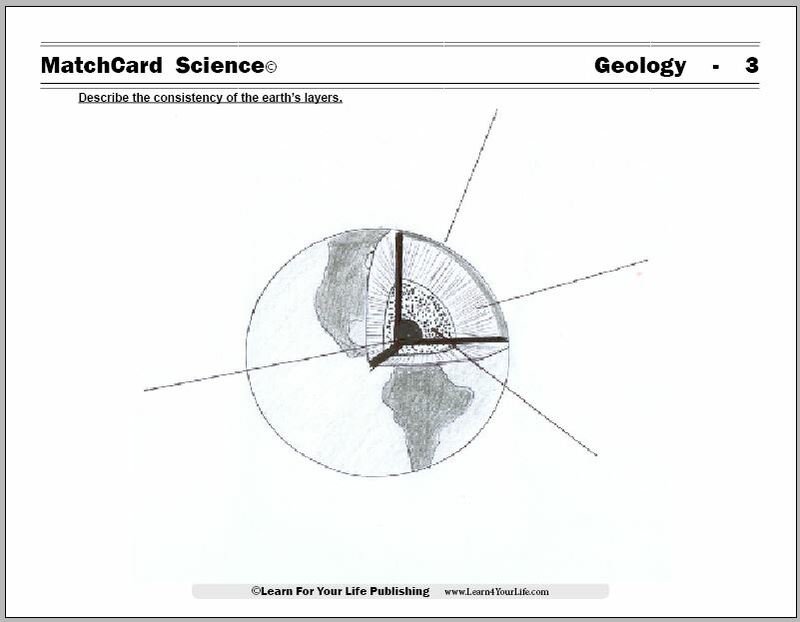 Describe the location and consistency of the earth's layers. 3. Explain the effect of weathering on the earth's surface. 4. Identify the three main groups of rocks and tell how they are formed. 5. 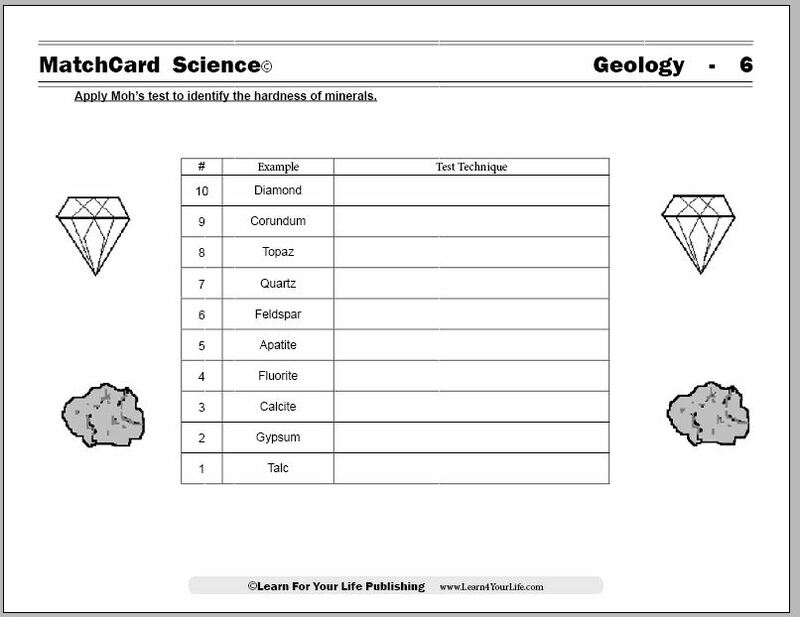 Apply Mohs' test to identify the hardness of minerals. 6. Describe other tests for analyzing minerals. 7. 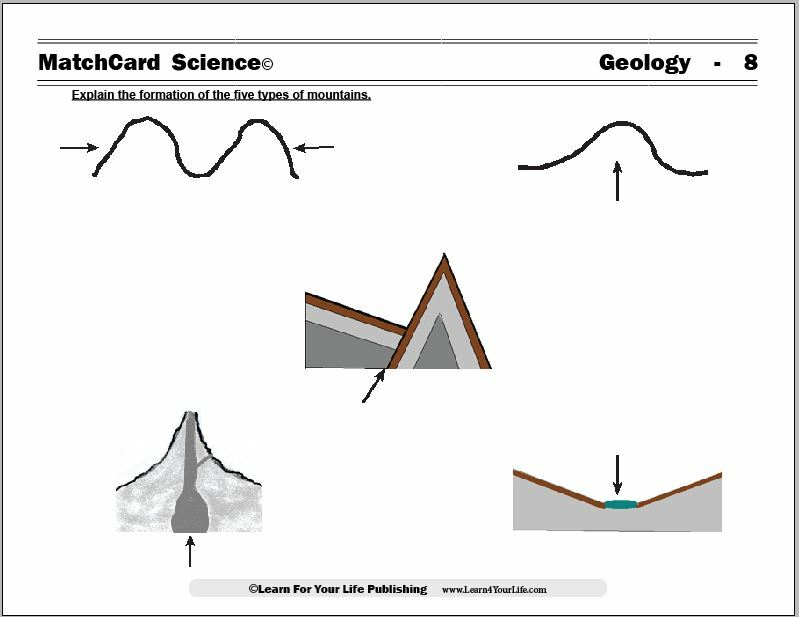 Explain the formation of different types of mountains. 8. 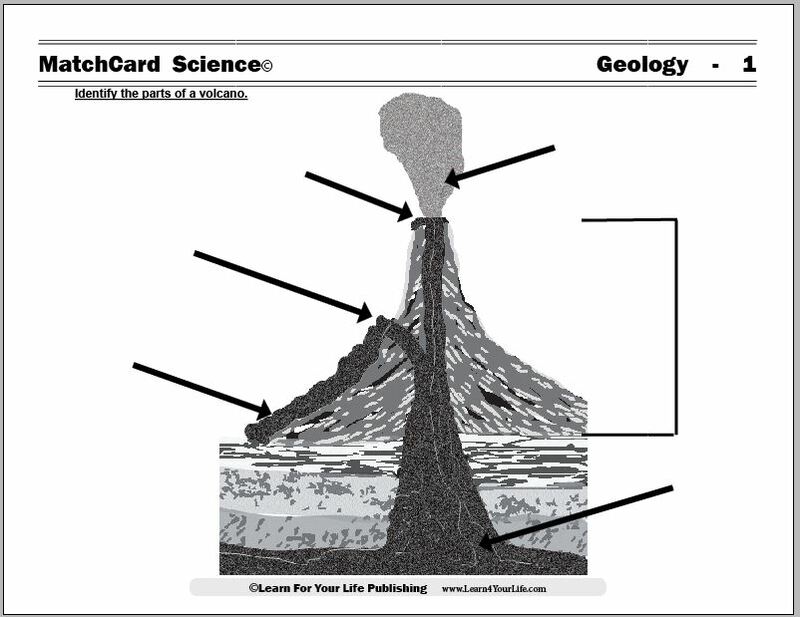 Identify the parts of a volcano. 9. Evaluate the impact of waves in an earthquake. The Matchcards are great for teaching and reinforcing the objectives. There is one MatchCard for each of the objectives listed above. Each weekly objective comes with several columns of suggested and fun activities. Build a mountain range, check the hardness of rocks, watch what happens to your block city when an earthquake hits. Make a landform map showing the geology of your area. Collect and label 15 minerals using a field guide. Keep a notebook of the investigations done during your weekly lessons. Make a map of seismic activity around the globe this year. 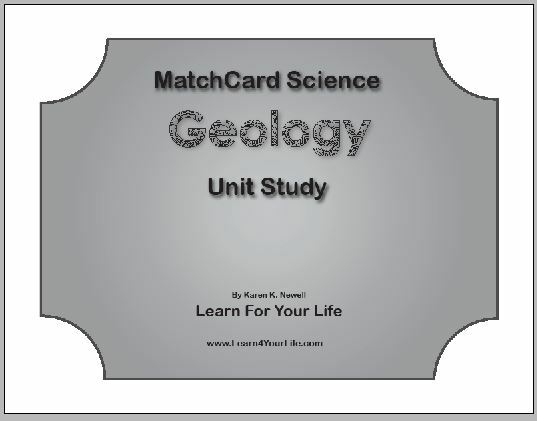 Submit this form to get the free Geology Unit Study with MatchCards. I understand that the information requested in the boxes above is used solely for research purposes. We love to hear from other budding geologists. 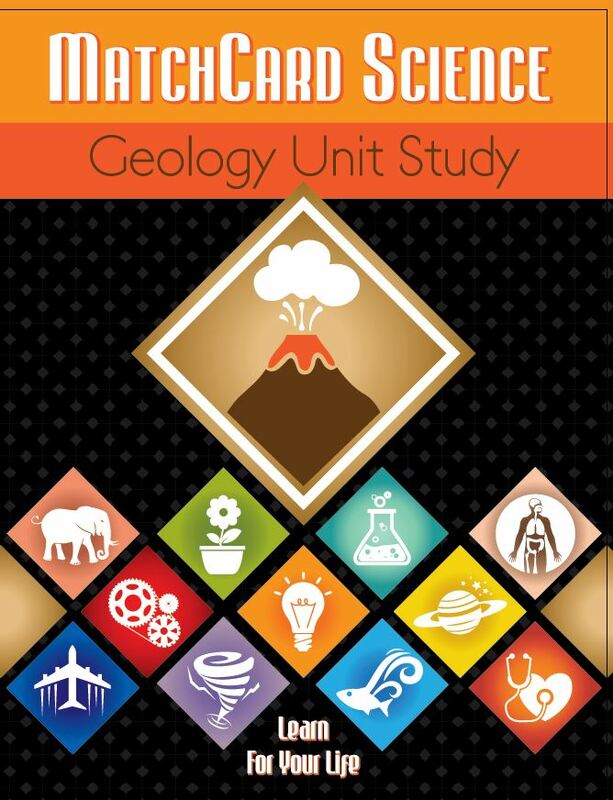 What was your favorite part of the Geology Unit Study?